It is all about the experience: Arrive, dive into another world and connect with your inner self. Our concept relies on a combination of warm temperature, water, sound and light. 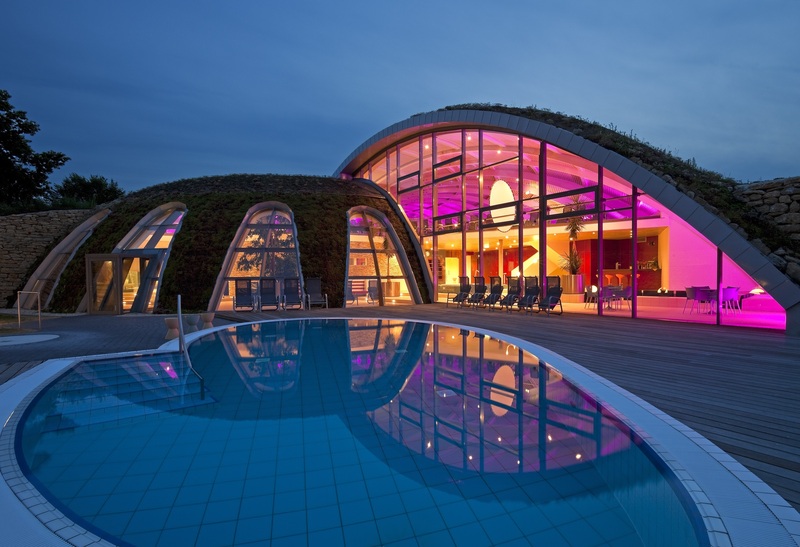 An impressive facility for relaxation and renewal - new and familiar at the same time. Bathe with all of your senses. Bathe in a comprehensive work of art. It just takes a few steps from your room to the hot spring, from the hot spring to the park, into nature, into a timeless holiday feeling. Here you find time to forget about time.